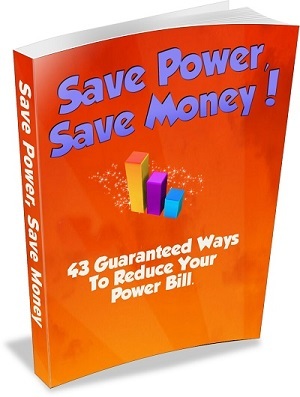 Click to download our free report with 43 guaranteed ways to save power and save money, including many low-cost and no-cost ways to save. Simple, Low-Cost and No-Cost ideas you can implement today. 11 Different ways to reduce your hot water bill. The No. 1 best value for money energy saving investment – this may surprise you. The absolute worst type of electric heating revealed. 16 Pages, 43 guaranteed ways to save.